Water. Aqua. H20. No matter how you refer to it, its benefits and uses are known to all. However, a tragedy has befallen the world of water! ‘Oh no!’ I hear you cry, ‘what could it be?’ Well, the horrible truth is that many people think water is…boring. Sadly, some people less well-versed in the weird and wacky ways of water seem to think it is merely ‘the stuff that comes from the tap’ or ‘that stuff in the sea’. As SinkWaterFilterReviews.com states, “For something so simple, there are a lot of interesting facts about water.” Water is anything but boring. There are a plethora of watery facts and sodden gobbets to delight and intrigue, and in this piece we have handpicked the Top 10 interesting facts about our moist friend. 2. Approximately 69% of all freshwater on Earth is trapped in glaciers! Glaciers are huge bodies of compacted snow and ice that make up massive parts of the Arctic and Antarctic. 4. 70% of the human brain is made of water! 5. There is more fresh water in Earth’s atmosphere than in every river on the planet combined. 7. The Antarctic is currently covered in approximately 10 thousand trillion tonnes of snow and ice, which is coincidentally about the same amount that landed on my driveway last winter. 8. The Sun creates approximately 100 million times the water in the Amazon River every second! 9. A 5-minute shower uses roughly 200 litres of water. This is an approximate value as you could choose to shower under a dribbling tap for 5 minutes, or under an industrial-strength power washer. It is all up to you really. 10. Approximately 97% of Earth’s water is salty, with less than 1% being fresh water. 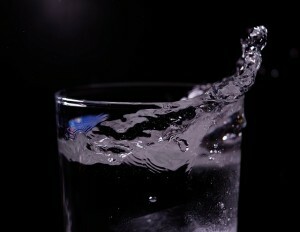 For more facts about water, check out sites such as www.treehugger.com or www.seametrics.com.